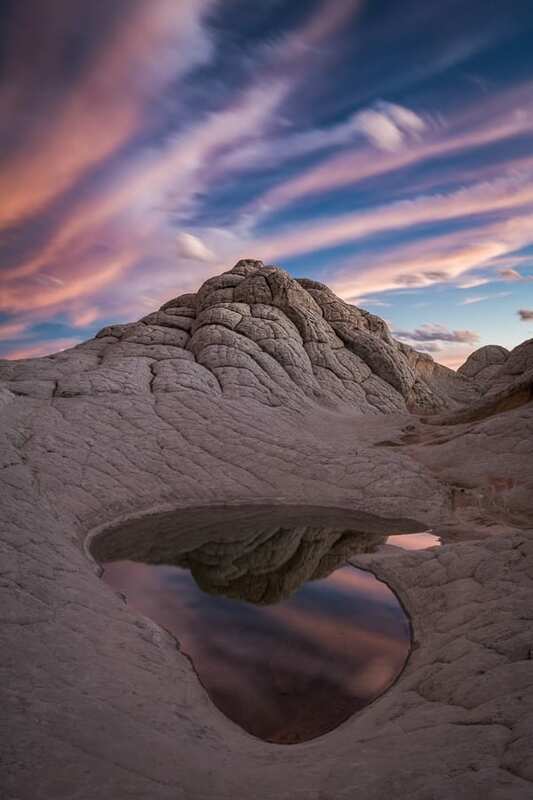 White Pocket is our most popular photo tour and the scenery here is absolutely spectacular! Many unique compositions can be made and you'll want to come back again and again. 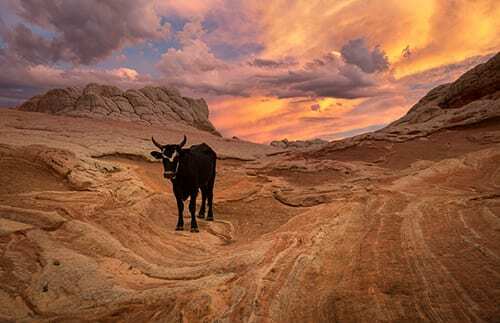 No permits are required to access White Pocket. 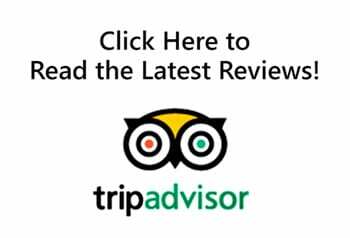 You'll have around 3.5 hrs on location. We'll keep shooting up to 30 mins after sunset. A night photography extension can be added. 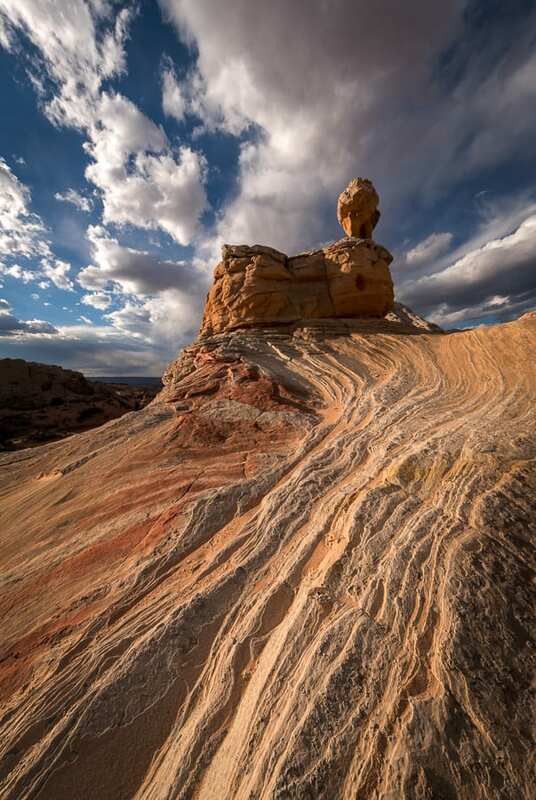 Permits: No permits are required to access White Pocket. Night Photography: Occasionally we get requests to stay out later for night photography. If this is something the group wants to do, we can stay around 2.5 hrs after sunset to capture the stars. The cost of this add-on is $99/person. We will only do this extension if skies are clear and everyone in the group agrees to it. We will offer night photography instruction during this session. 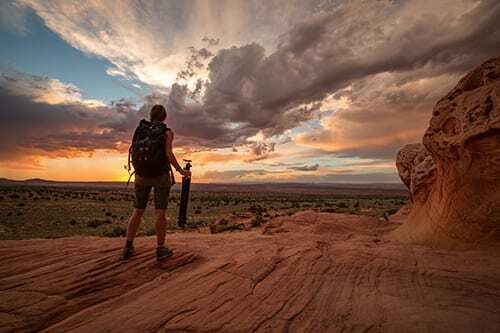 What to Wear: You should check the weather forecast prior to coming on the trip (search for Paria, UT on Weather.com). If it’s going to be hot, wear light-colored clothing and a hat. If the temperatures are cold, bring some warm layers and long pants. Don’t forget sunglasses and sunscreen. Even when it’s warm outside, the temperature can drop quickly after the sun sets. You may wish to bring a light jacket for the evening. If it’s very cold and or windy, don’t forget a warm hat and some gloves. If rain or snow is in the forecast, bring a rain jacket. 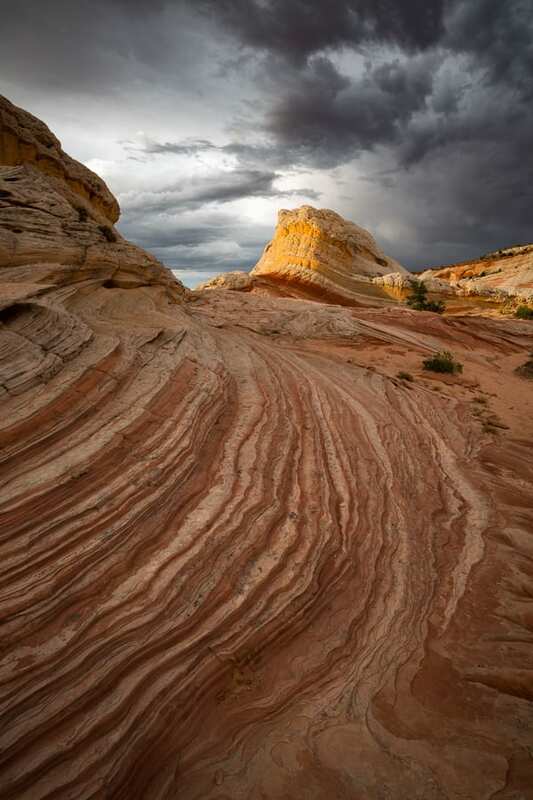 We recommend wearing sturdy footwear in White Pocket due to the uneven terrain and sand.